The company that supplied meningitis-laced steroids that caused a nationwide outbreak was not properly licensed in Minnesota. Cody Wiberg, director of the Minnesota Board of Pharmacy, said New England Compounding Center was licensed only as a pharmacy and not as a drug wholesaler. Thus, the company's bulk sales of steroids to Minnesota clinics was illegal. It is unclear whether the Minnesota clinic that was using the steroid M.A.P.S. (Medical Advanced Pain Specialists) broke any rules. Wiberg also refused to acknowledge whether the Board was investigating New England Compounding. "They are not licensed as a drug wholesaler, and because of that, no one should have been buying from them as a wholesaler," [Wiberg] said. Dr. David Schultz, the founder and owner of both Twin Cities clinics, said he was unaware of that rule. "That's news to me," he said late Tuesday. He said the New England company was "well respected" and that it had assured him "that they have all the appropriate licenses in place." The MAPS clinic had supplies of the company's steroid on hand until it was recalled two weeks ago, according to Anne Trujillo, the director of clinical operations. Wiberg said that if the Massachusetts company was essentially acting like an unlicensed drug company — selling medications to clinics in large quantities — it would have violated state law and could face both civil and criminal penalties. As a pharmacy, it's only permitted to fill individual prescriptions. However, he would not say whether the pharmacy board is investigating the case. …Last week, the company, which is now closed, recalled more than 17,000 vials of steroids after investigators discovered three lots were contaminated with fungus. Thousands of people nationwide have been exposed to the tainted steroids, with 119 contracting fungal meningitis including 11 deaths. Over 800 Minnesotans have been notified that they have received the potentially contaminated steroids this summer, as reported earlier by my partner Mike Bryant. Mike also blogged about this in Minneapolis. 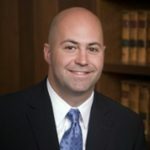 As a partner with Bradshaw & Bryant, Joe Crumley has over 20 years experience with the firm—helping injured people and their families to secure just and fair compensation. 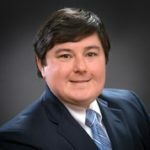 Excelling in personal injury litigation, Mr. Crumley has secured numerous record-setting verdicts and settlements and won accolades such as MTLA’s “Trial Lawyer of the Year” and “Excellence” Awards.